This month I used another fabric that I couldn’t bear to cut up. This fun dotted print is so bright and cheerful! I think whole cloth quilts are finally out of my system. At least for the time being! Next month I promise to try something more complicated. 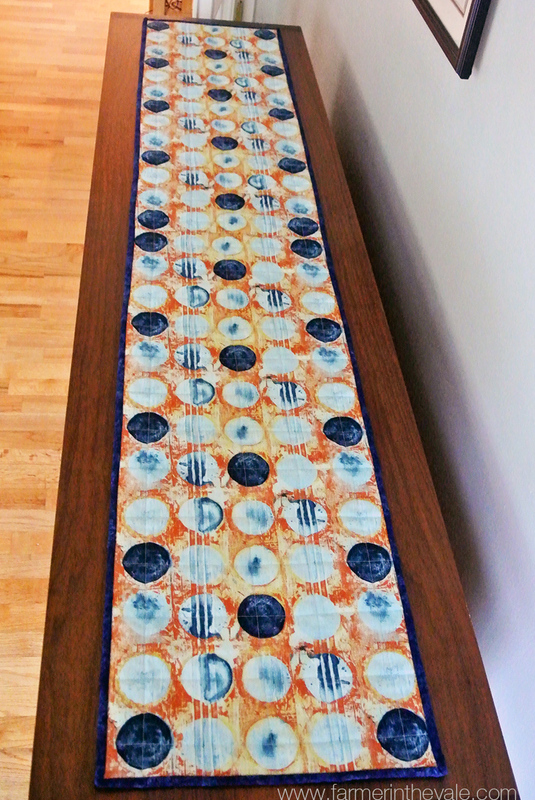 This table runner only took 5 hours from start to finish. I’m so proud that I started and finished a project on a work day! Wow! 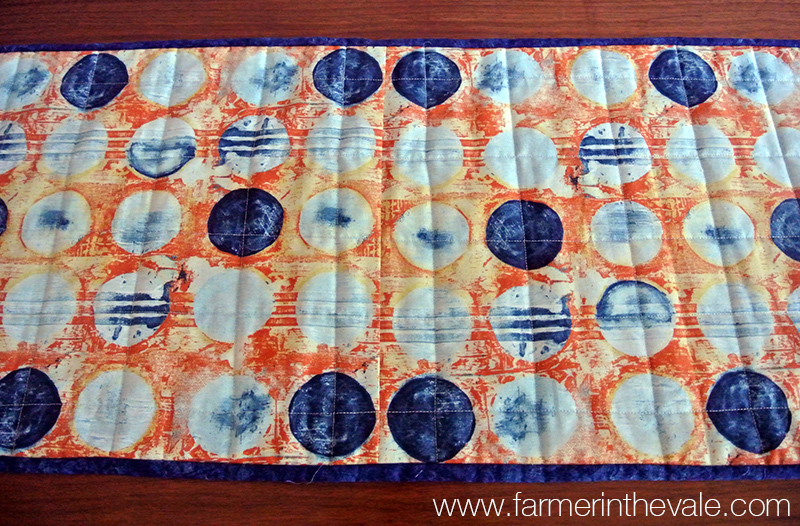 This entry was posted in Quilts and tagged blue, dots, orange, quilting, sewing, whole cloth. Bookmark the permalink.